Dream Test XI of 2016: Fighters of Redemption: In this T20 era, Test format is seen more as a sinking ship. As a result, various sorts of things have been suggested and implemented for regaining the interest of the fans in cricket’s oldest format. But ultimately, cricket is all about competition and the way a fierce rivalry or a close encounter can attract and ignite fans, nothing else can. And that has been a thing missing in last few years. Mostly, Test series have been one-sided which eventually kills the interest in the format. But this year was like a dream for Test match cricket and it effectively sent across a message – Test cricket is here to stay. The turnaround started happening from Pakistan’s tour of UK, when Pakistan drew the series 2-2, much to the surprise of many. Around the same time, Australia travelled to Sri Lanka as the no.1 side but there they got whitewashed by a no.7 side. Pakistan and West Indies fought a close series. New Zealand also played some outstanding cricket to whitewash a much higher ranked Pakistan, who were expected to perform much better against New Zealand. England’s tour of Bangladesh was also full of excitement as the hosts, for the first time defeated England in a Test. Then India and England locked horns and this series also turned out to be a great advertisement of Tests with England competing hard against the hosts. Right now, Pakistan is playing in Down Under and in the first Test, they fell just 39 runs short while chasing 490 runs in a nerve wracking encounter. So, Test cricket is again drawing viewer’s interest and this year has been a combination of close encounters, brilliant performances and low-ranked sides causing upsets that has somewhat created buzz and exhilaration among the fans for Test cricket. 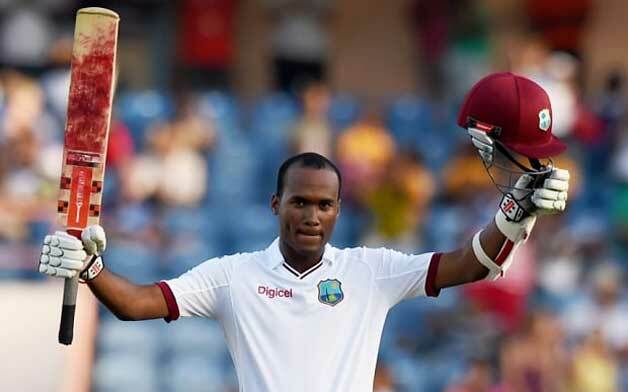 West Indies Test Vice-captain and opener; Kraigg Brathwaite makes it to the list ahead of Alastair Cook on two bases – performances outside home and impact. Cook fared poorly in South Africa, Bangladesh and India. In contrast, Brathwaite had a mediocre home series against India but he performed quite well on tough tours of Australia and UAE. He started off the year with a gritty knock of 85 at Sydney while ended the year with a Man-of-the-Match performance against Pakistan at UAE. His exemplary knocks (142*& 60* runs) in Sharjah Test helped West Indies defeat Pakistan, a feat which even Australia and England couldn’t achieve in UAE. His unbeaten contribution of 202 runs in Sharjah is regarded as one of the best batting performances of the year.